This is an interesting aside to the Cambridge Air Force project. The Cambridge Museum has a mystery photo of a New Zealand WAAF. It is hoped we may be able to discover who this young lady was. This photo came to light in 1992, when Ngaruawahia lady Myrtle Derecourt was planning to clean some old family photographs. When she removed the frames of two of her photos, she found that her familar family portraits were concealing a pair of other unexpected shots that had been used as backing in the frame. One of these hidden photos was of two young children, and the other was of a young woman in the uniform of the Women's Auxiliary Air Force. Both photos had been hand coloured. Mrs Derecourt did not recognise the people in these two photos and believed they had no family connection. In 1995 she went to the Waikato Times, who ran an article on June 28th of that year requesting any clues as to who they children and the WAAF may have been. No further information was discovered however. Since then, Mrs Derecourt has died, and the pictures were given to the Cambridge Museum. 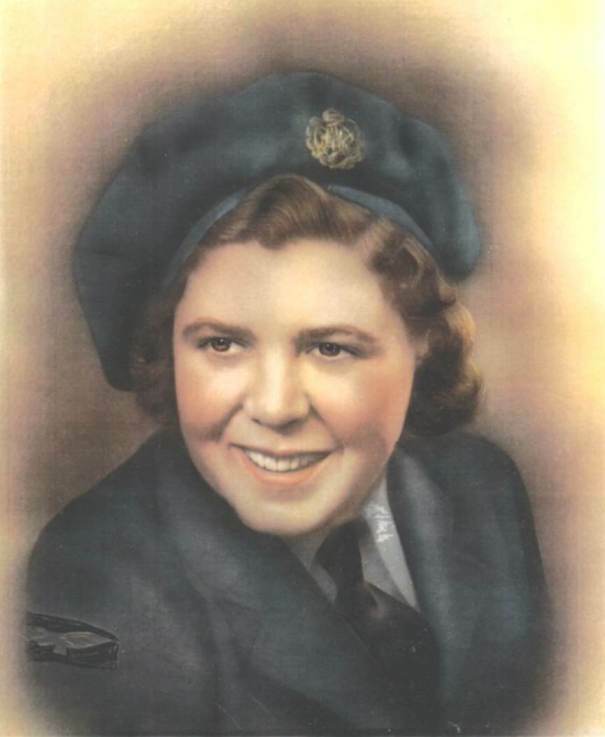 The museum's curator Eris Parker is as curious about their origin as Mrs Derecourt was, so we have decided to add the WAAF shot to the Cambridge Air Force website in and attempt that she might just be recognised. Though the photos were found in Ngaruawahia, they have the mark of photographer Christopher Bede, who during the war had photographic studios in both Auckalnd and Hamilton, and he also apparently did housecalls. So where they were taken is not clear.